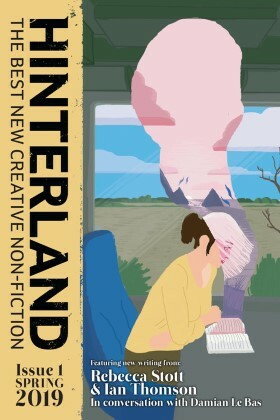 Hinterland is a new quarterly, print and digital magazine, based in the University of East Anglia, dedicated to creative non-fiction. We operate an open, year-round submissions policy via Submittable and aim to read all work submitted within three months. We pay for all the work that we publish and receive frequent interest from agents and publishers regarding our contributors. We only accept submissions made via Submittable. Submissions made by any other means will be returned, unopened. We charge a small readers’ fee of £3 for all submissions. Subscribers can submit their work to us for free.